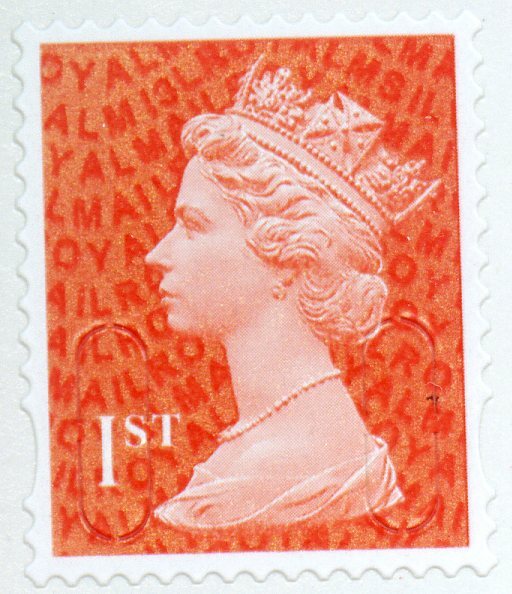 After six weeks it's A Happy New Year for the Red Machin stamp! Yes, Six weeks is how long the 1st class Machin definitives in Royal Mail red have been available, and many of those are still not in every Post Office branch. These have phosphor bands short at the foot, without which they might have remained in the shop, as he was not expecting to see a new year code as soon as this. It does pay to keep your eyes peeled! We expect that this will be quite common at retail outlets, whilst the M12L version may not appear on the streets but only from Tallents House. It is also quite possible that the Bureau has sufficient stock of M12L for all eventualities and will not get the M13L version for some months. Only time will tell! We await your reports. If you find M13L or MA13 stamps please let us know whether they are from Post Offices, Tallents House, or other retail outlets. Thanks! I haven't seen any red Machins at all used on mail yet. Everyone still seems to be using the gold or diamond blue ones, with the occasional Olympic definitive. My local offices are still selling and been resupplied with the Olympic logo, the gold (MA11/MA10) books of 6, and never had the Scottish Locomotive, the October book of 6 Jubilee stamps or the London Underground books.